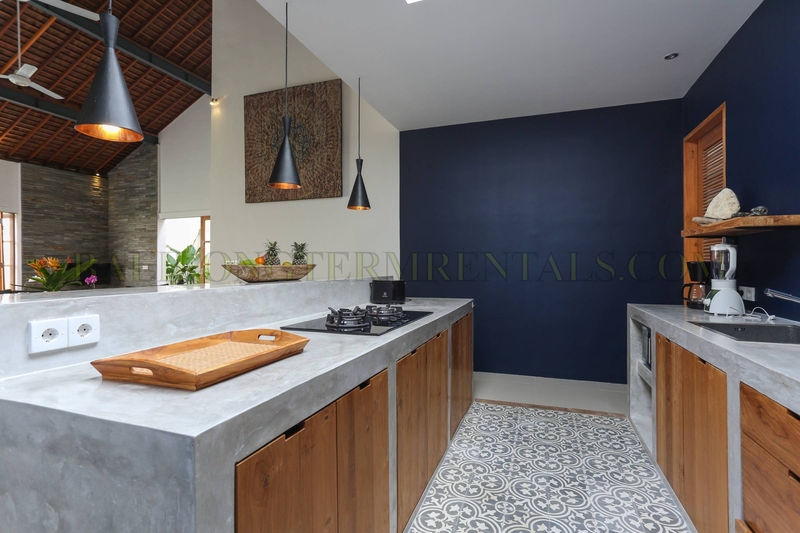 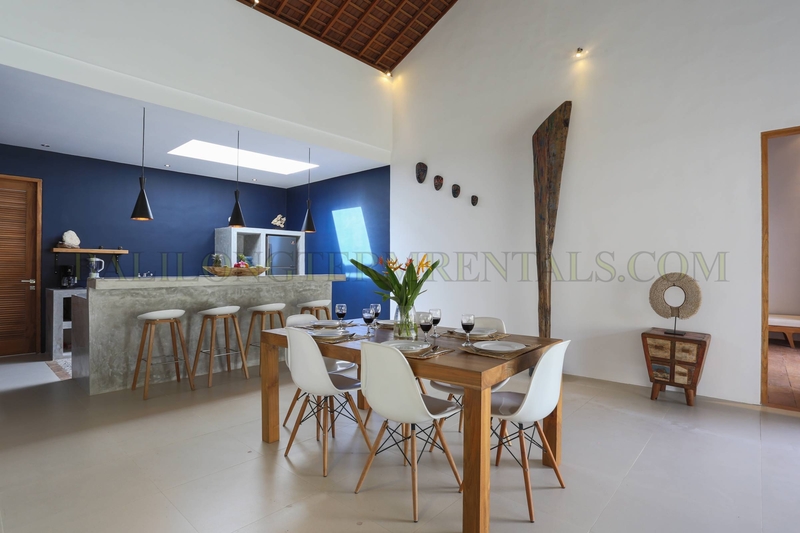 Located in the quiet and cozy neighborhood of Umalas, easy access to reach the lively neighborhood of Seminyak, where you could find many trendy spots such as Ku De Ta or Potato Head, Metis and others shops, cafes, and night clubs. 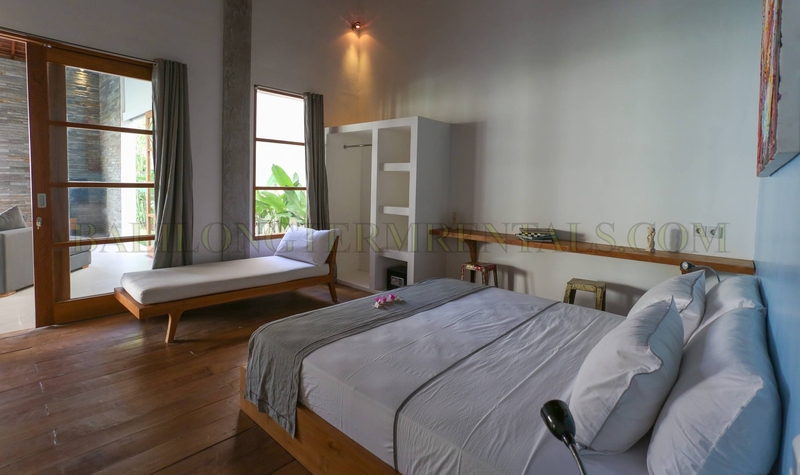 Each bedroom is equiped with quiet air-conditionner, top quality bedding, dressing, closets, safe deposing box and sofa which could be used as a comfortable extra-bed. 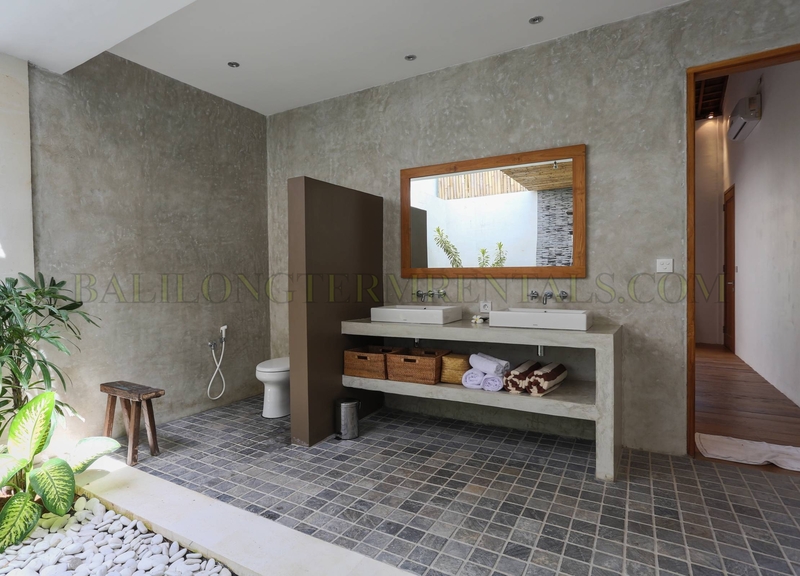 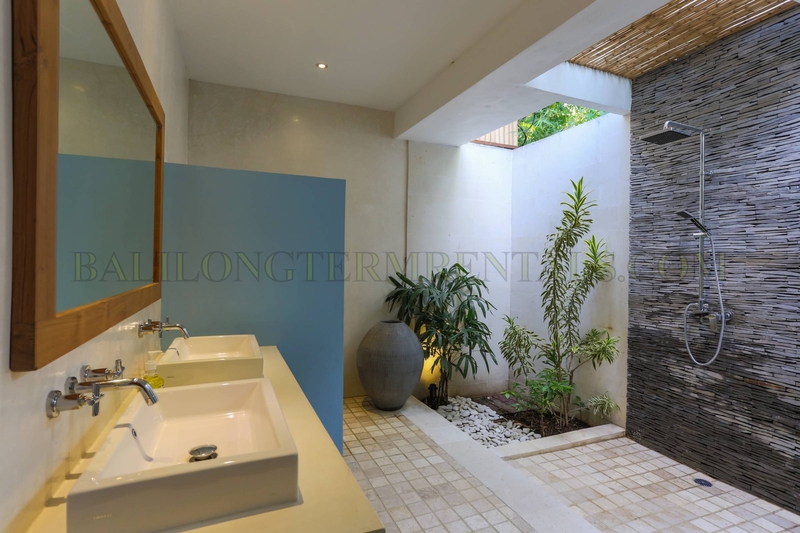 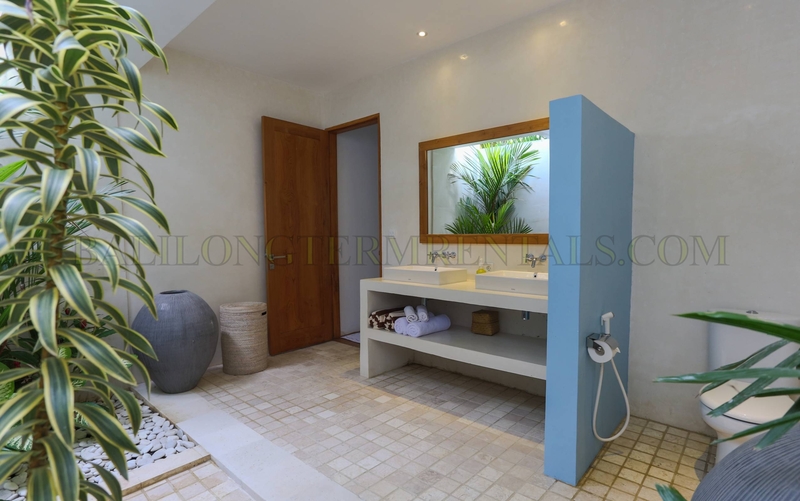 The Master Bedroom has its own semi-open bathroom, and the second bedroom has also its private bathroom with shower. 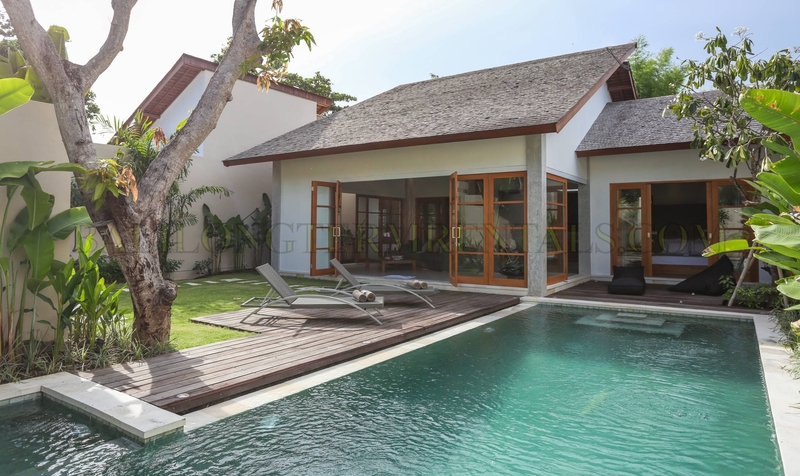 Both bedrooms have large glass sliding doors over viewing the pool side. 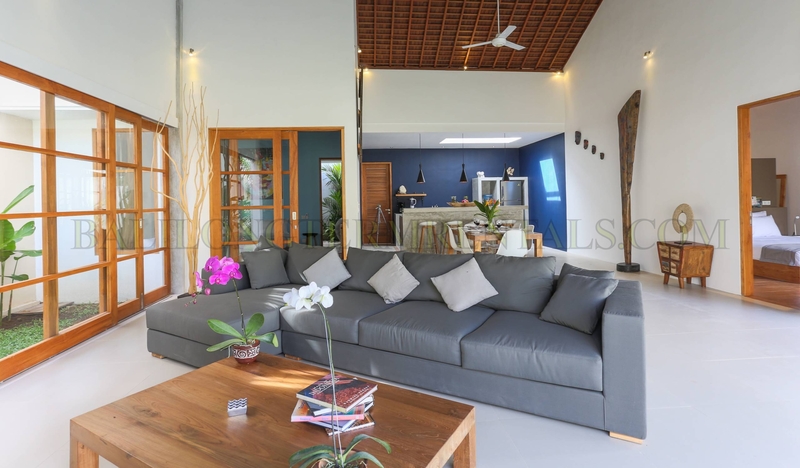 The spacious living-room, has a 40inch LED TV and a iPhone compatible Pioneer stereo system. 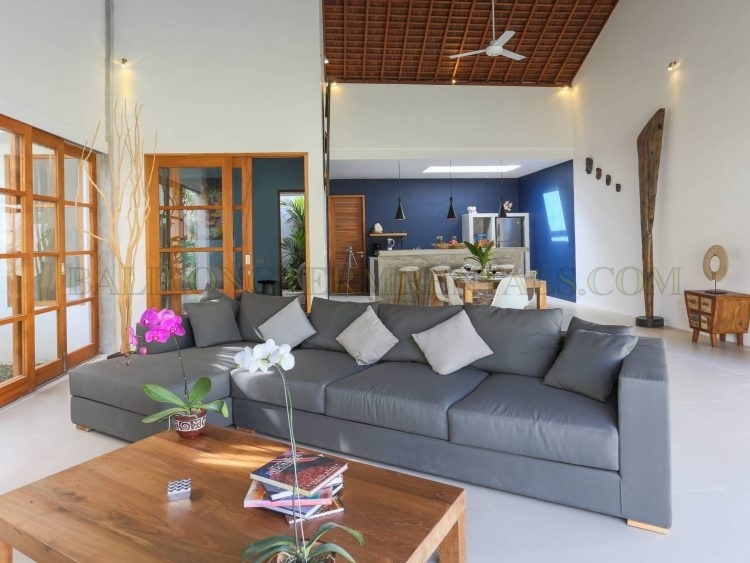 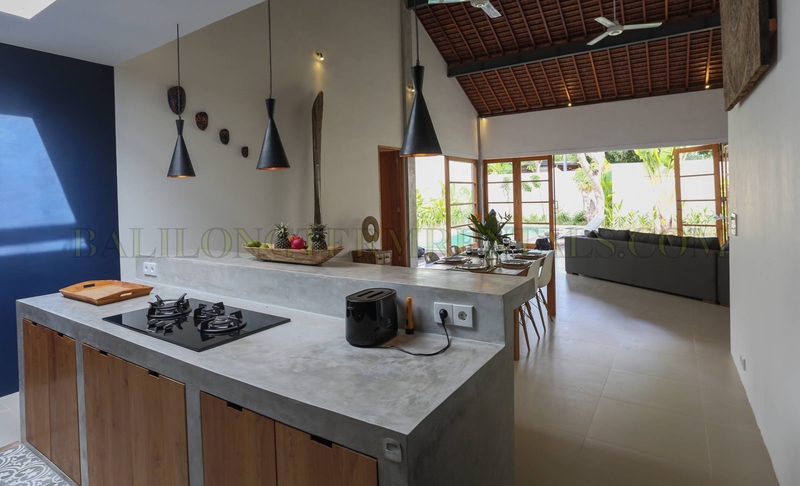 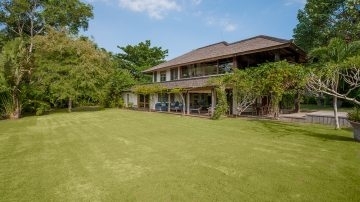 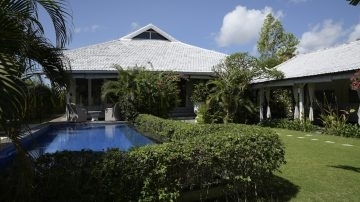 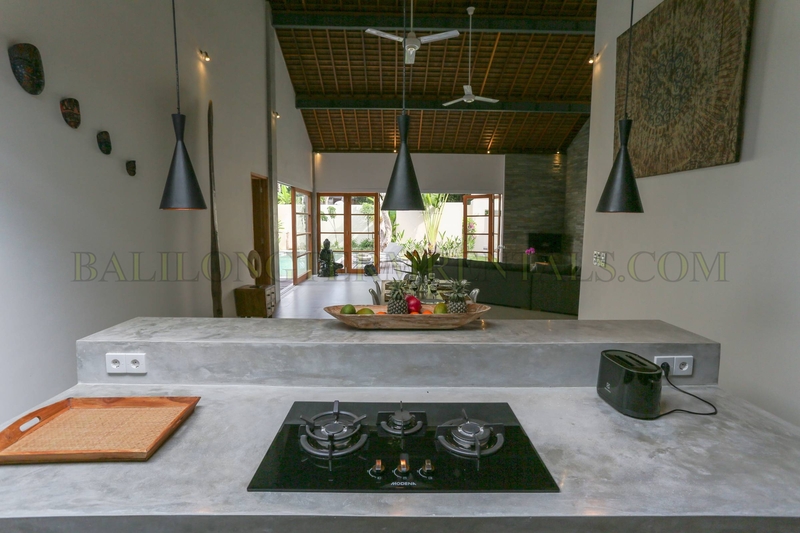 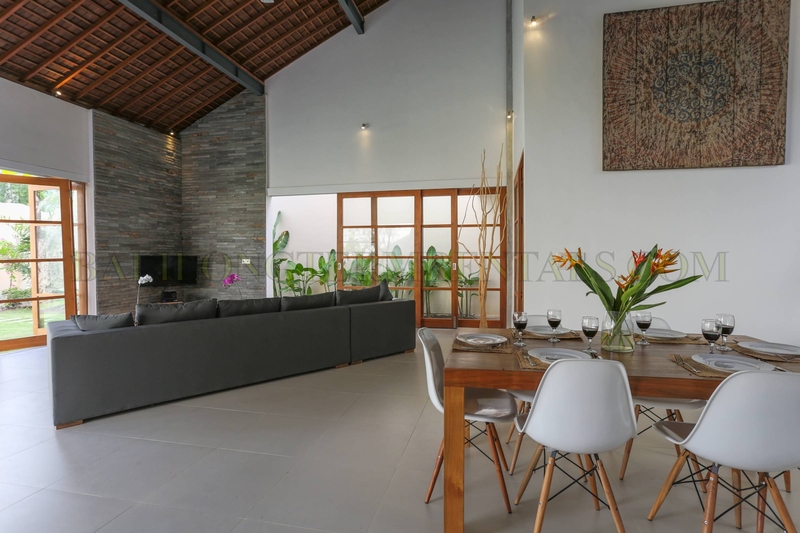 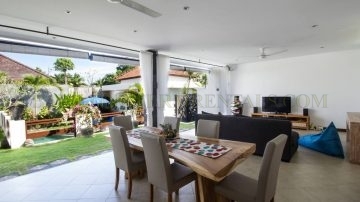 It is fully equipped western style kitchen, opens to the living area with its large sofa. 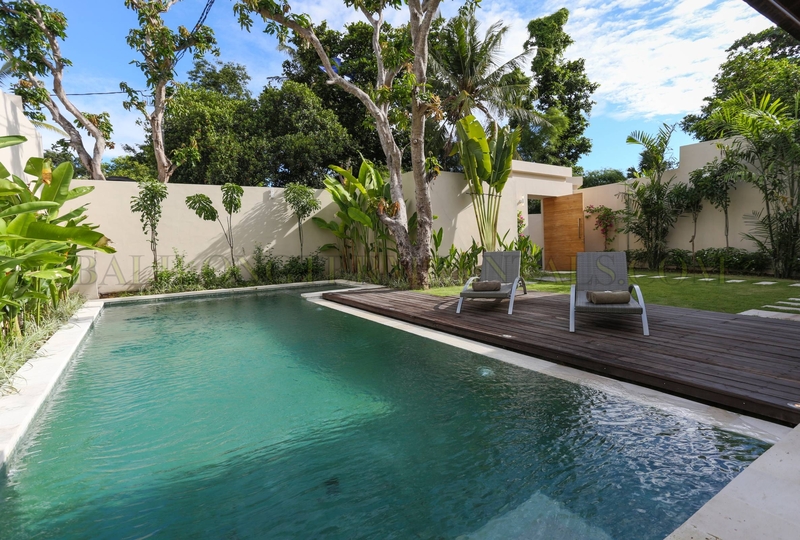 The well-tended garden is a relaxing place with a private pool and a jacuzzi, and all around it a wood terrace with its deckchairs perfect for your moments of relaxation. 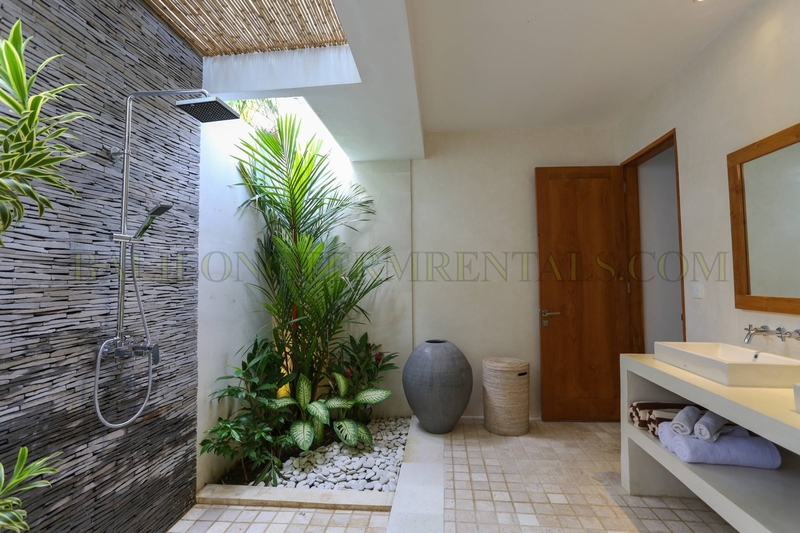 All the garden is surrounded by beautiful Balinese plants.